Pipestone Paints Ranch is located by Caroline, Alberta. A small town on the edge of the foothills, 54 KM west of Innisfail. We operate a breeding facility with top bred stallions. 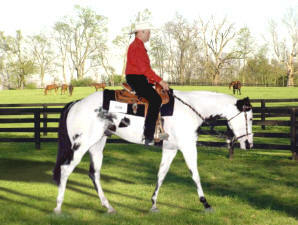 Our main objective is to raise a good conformation horse that can compete in halter and performance divisions. We have currently produced APHA Open Champions, Amateur Champions, Youth Versatility, Superior Pleasure, Superior Hunter Under Saddle, Superior Showmanship and numerous ROM's.Lucky Diamond Chip has been and is currently on the APHA leading sires list in all 4 categories. He has sired Champion and Reserve Champion Congress Champion. Please check out our stallions, foals and horses for sale. We know you'll find something you like. Lucky Diamond Chip is now a RESERVE WORLD CHAMPION producer! 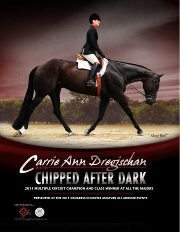 Congratulations to Carrie Ann Dregischan - Toronto, ON & Chipped After Dark, for their RESERVE WORLD CHAMPION in Amateur Solid Paint-Bred Showmanship & Solid-Bred HUS! Several Nice Prospects to Choose from! To preview them click below. out our FOR SALE page. We are having a partial dispursal of our herd. We have decided to cut back. We will do packages or one at a time. The mares are exposed to Lucky Diamond Chip . Check out the For Sale page for pedigree and prices. Including offspring and stallions! We have updated our "For Sale" page. Come on in and take a look. Email guter@telus.net with questions/comments about this site.